The phrase “sandwich generation” was coined by social worker Dorothy A. Miller MSSW to describe the generation of adults sandwiched between two groups who need care – their aging parents and their younger children. Sound familiar? If it does, you’re certainly not alone! Who Makes Up the Sandwich Generation? 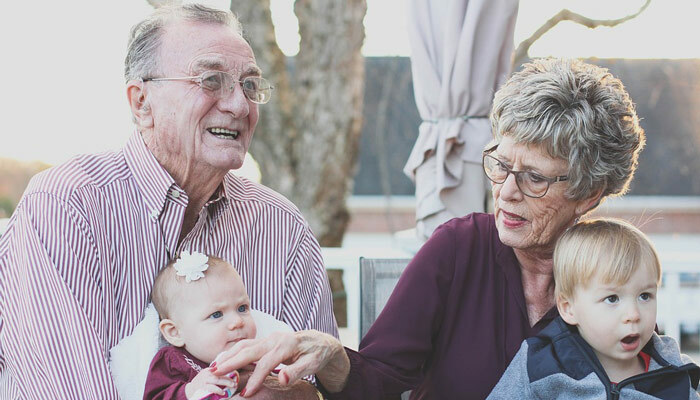 According to statistics from Pew Research Center, brought to our attention by Psychology Today, one out of eight American adults between the ages of 40 and 60 care directly for an aging parent. Millions more care for their older parent even though they live long distance. And, while caring for their older parents emotionally, physically, and financially, millions of people also care for kids of their own. In fact, research from Pew suggests that about half (47%) of all adults in their 40s-50s have a parent aged 65 or older, and are simultaneously supporting a child emotionally and financially. Now, being a member of the sandwich generation can, of course, be a blessing in its own way! In fact, per Pew, roughly a third of all people who provided for both a parent and a child said that they would rate themselves as “very happy” – the same as any other demographic. There’s a lot of love to go around, and being so close with both your parents and kids can help bring generations together, and really foster a sense of family connection. While providing for your loved ones is a beautiful thing, it’s hard to deny that it can also be exhausting, stressful, and time consuming. Those troubles are only made worse when you have to fill the role of caregiver in two different directions at once. As you care for your elders and provide for the next generation, it’s vital that you don’t forget to take care of yourself! There are many steps you can take, large and small, to put yourself first and make sure that you’re getting the care, support, and time you need. When all of your attention is focused on caring for your loved ones, it can be easy to ignore yourself. But in doing so, you may be rejecting the warning signals that your own body is sending you! And as a result, you could end up feeling worn down, getting sick, or putting yourself at risk for an accident. Take time to rest, and take steps to make sure you’re getting a full and rejuvenating night’s sleep. Be mindful of your diet, and make sure you’re getting the vitamins, nutrients, and minerals that you need. Try to make time to exercise – even a little bit of physical activity can go a long way toward giving you more energy and helping you feel better. Stay hydrated; getting enough water is key to staying alert and focused, and helping yourself to perform at your peak. It’s important to take time for yourself, and find the things that you love to do! Keeping up with hobbies, social events, and your favorite pastimes is a great way to rest, recharge, and make sure that you’re able to be your best self. The options are limitless, but the core principle is the same – take time for yourself, and channel your energy in healthy, enjoyable ways. Finally, remember that you don’t have to go it alone. Being a caregiver can be challenging and time-consuming, but there are plenty of options out there for help. These run the gamut, and can give you back precious time in ways large and small. For instance, meal delivery services can be a great way to help arrange tasty, nutritious dinners for all of your loved ones, while cutting back on the amount of time that you need to spend on prepping and shopping. For the kids, is there a daycare center that could help you out? Or a local carpool for school? Do you have nearby family members who can come in every now and then to help out, and give you back time to put your attention somewhere new? And remember, for the older adult in your life, there are professional, in-home companionship and caregiving services available, able to help give your loved one the personalized care and attention they need, while giving you back time for the other pressing things in your life. Are you looking for in-home support and companionship for an older loved one? That’s where Companions for Seniors would love to step in and help! We’re locally owned in the Chicago area, with clients in the city and suburbs, and we’re here to field any questions you may have about any aspect of caring for your aging loved one. Our companions are trained, bonded, and insured, and can help you and your family shoulder some of the burden of caring for the senior in your life. We help provide seniors with a higher quality of life, while also offering respite and peace of mind for a family caregiver who might need some support. We offer personalized care plans for each of our clients, and our caregivers can assist with activities of daily living, housekeeping, driving services, and more. Have any questions? Want to get in touch? Don’t hesitate to give us a call, or fill out our contact form available here.